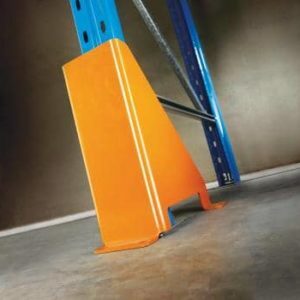 Floor-bolted column guards provide protection to a height of 400mm. 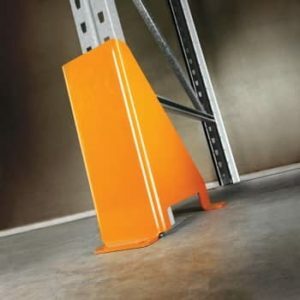 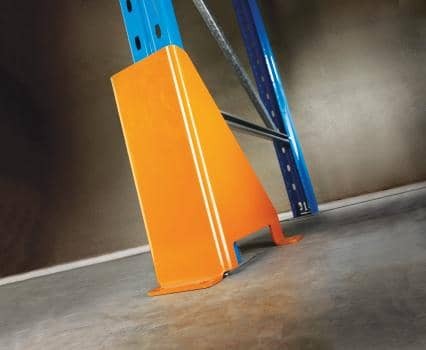 The guard stands immediately in front of a 90 or 100mm upright, and its function is to provide a degree of resistance to the bottom 360mm of upright from front impact damage by fork lift trucks. When used, the bottom of the lowest beam must clear the height of the guard.